To Pop or Not to Pop – How it helped me get through my day ! OK so if there is one thing I knew at this point Popping my back was the only thing that helped even if it was only temporary. When I would leave my chiropractors office I felt like I was on top of the world. I mean the pain was instantly gone it was amazing and I felt free again, and I was happy to go back again and again. Then like I mentioned before times got tough and business was down. I didn’t feel comfortable spending the money on the Chiropractor over and over again. Now I payed attention over the years, I know exactly how the doctor would pop my back. I thought maybe I could get my fiance to pop it for me or maybe even pop it myself. I had been having someone walk on my back for years, I don’t recommend this but wanted to be honest with everything that I have tried. This would work great for me but only on my upper back, I could never get the lower back to pop. I should also mention that luckily my fiance is on the petite side and again I don’t recommend you do this. Next I tried to explain to her how the chiropractor got my back to pop all the time. She understood but just could never get enough pressure to actually get it to pop. One day I was lying on the floor stretching my back out while watching TV. I had seen someone show how to crack your lower back with a tightly rolled up towel placed under your lower spine just above the hips. I managed to get my lower back to pop a few times but it was painful. I didn’t find the pain worth the relief. I tried everything and anything that didn’t cost two much money. I considered the amount of money I would have been spending at the chiropractor and figured that if it was only the cost of a few visits and could possible be the answer I was looking for, it was worth the investment. I was successful at cracking my back from time to time. Over the course of months I was slowly and slowly beginning to be able to pop my back on a regular basis. Today I could lay down and get my back to pop several times from the upper back to the hard, damn right almost impossible lower back. I want to say that this is also no longer necessary for me, but it did offer me almost instant relief when I needed it the most. I did notice that over time I felt the need to pop my back more and more often. It was also something I needed to lie on the floor to do and was not something I felt comfortable doing around other people with the exclusion of my immediate family. Lying on my back I would pull my knees to my chest keeping my feet and knees together at all times. I would then roll my hips to the right keeping my feet together until my knees touched the ground to my right side. I would then slowly roll my shoulders to the left until they were almost both flat on the ground. I then will take my left hand on my lower back and lightly push my hips towards my knees, while keeping my shoulders on the floor. This will pop you back if done properly almost every time. I would then do the same exact thing to the left reversing all steps. Once I’m done I will very slowly stretch my back in a similar fashion without applying any force. Slowly getting back on your feet keeping in mind that you just loosened your back up so be careful. Click here to see the Answer you have been looking for ! I would have to pop my back roughly once or twice a day, and the pain would always return. The temporary relief that this brings is just that, Temporary. I never did return to that chiropractor but my back was still killing me. I was back in the old routine of soaks and rubs everyday and night. I was not prepared to live the rest of my life like that, and was looking for anything to give me some relief. Finally, I went back to the doctor and explained that the treatments were to expensive and that there had to be something else we could do. She gave me a prescription for an anti inflammatory and pain reliever. I took the medicine as prescribed for several months, all the time still continuing my regular routine. Slowly but surely the pain became even more excruciating. I’m not exactly sure why this was but I remember waking up every morning to that same stabbing feeling in my lower back. 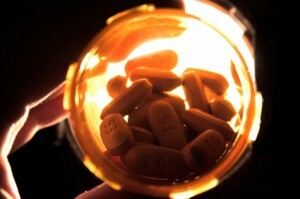 The next prescription was for a much stronger narcotic call vicodin or hydrocodone. This with the anti inflammatory medicine seemed to work OK. I could still feel the pain but it was tolerable for the time being. I would take one in the morning and would be ok for most of the day. After several months of this, It seemed that my back was getting worse again. Now the doctor had prescribed up to 4 a day so I never thought twice about adding another vicodin in the afternoon. All was better well it sure felt like it was then. A few months later I think it was up to three a day then four a day. Now, four vicodin a day is a lot, I know there are people out there that take a lot more vicodin a day than that and don’t think it is a problem. I hope that these people will talk to someone about what they are going through and look for alternative options. Trust me when I say this, you will look back at this and be thankful you did, I promise. I continued taking 4 vicodin a day for several years roughly 7 to almost 8 years actually. My doctor was concerned and started asking me to see specialist again. I reluctantly made an apt with a Chiropractor that they recommended. I walked into that appointment obviously worried and on defense from the start. I was upfront with him and explained exactly what happened. He seemed to actually feel bad and he apologized for what had happened to me and promised I would never have to worry about that with him. Thankfully he was honest. The adjustments he made after looking at my back for a few seconds were not as violent as the previous chiropractor and I felt great for a week or so every time. He never pressured me to come back a set number of times and I was able to return only when I felt the need. This worked for a year or so then the economy started to drop of in my area of New York, unemployment is at a all time high and business is slow. I could no longer afford to see the Chiropractor anymore. My doctor and I discussed other options but all of them were more expensive. I made the decision to try and get off the vicodin and try other options. 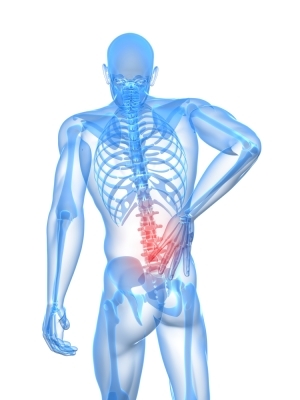 If can find away to adjust my lower back myself, maybe just maybe, I could free myself of this visious cycle. 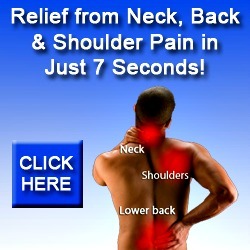 Relief from Neck, Back & Shoulder Pain in Just 7 Seconds! The Day I was introduced to Lower Back Pain ! I will never forget this day ! It was early spring in 2002, my ex-wife and I were headed to Niagara Falls, Canada for the weekend with some friends of ours. This was only my second trip to Canada and I was driving. Now if you have ever been to Niagara Falls, you will know exactly what I’m talking about. When you cross over the Peace bridge from New York to Canada its a little crazy. Your usually stuck on the Bridge over the water waiting in bumper to bumper traffic going through customs. Once you make it through and into Canada, its like you hit a wall, everything is right there on a gigantic and steep hill. Its pretty cool and if you never have been to the Falls, add it to your bucket list because it is a must see. Well at this point in the trip I am a complete wreck ! I’m not used to driving there, most of the streets are one way and its a mad house of tourist. Neat stores and souvenir shops everywhere, two big casinos and were lost ! Yup We have been driving in circles now for at least a half hour trying to find the hotel parking lot. Finally ! Were there, I pull up to our friends car, throw it in park and take a deep breath. If I only knew what was going to happen next. I open the door and swing my feet out of the car, excited to get out and stretch my legs. I had been driving for over two hours and was a nervous wreck from getting lost. I stand up and BAM! It felt like someone stabbed me in the back then beat me with a bat. If your reading this you probably know what I mean if you don’t go Stub your toe really hard then hit both your funny bones at the same time. Well, I’m not exactly sure what it was I screamed but it didn’t take long for my friends to be attempting to help me stand up. I couldn’t move an inch without pain shooting from my lower back all through my entire body pretty much paralyzing me in the spot. After about 10 minutes and several failed attempts I managed to get up to my feet. Although I was moving in ultra slow speed and taking slow mini steps like the Tin Man in the Wizard of Oz, you know when they just found him all rusted up. I attempted to walk off the pain, I didn’t want to ruin everyone’s weekend and I was looking forward to getting into the Casino. Little did I know that the excruciating pain I was feeling was something I was going to have to deal with for the Next 10 years of my Life !